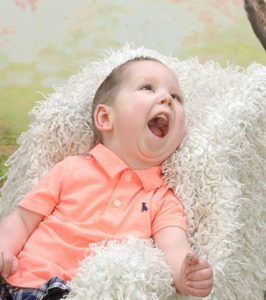 Kason was born having over 70 seizures a day and stayed in the hospital for over 6 months the first year of his life. He see’s 7 doctors regularly for check ups and therapist weekly. He now has been seizure free the past 3-4 years but has limited ability due to the seizures.